Purchased the Liberty Airs not looking after they were released. 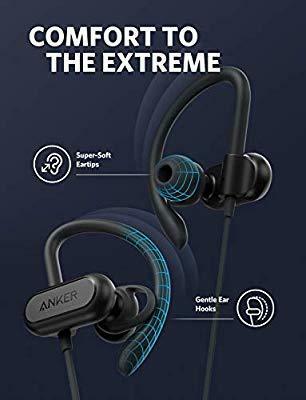 Always have been pleased with Anker products so I gave them a try because I needed some headphones for working out. My girl has airpods and says she can workout in them, so I thought the similar design of these buds would translate. I learned after my purchase that Anker makes wireless buds specifically for active purposes, but here's my take on the Liberty Airs. Let me start by saying, these are a joy to use. I have some Marshall on ear cans and while I absolutely adore those, I find myself reaching for the Liberty Airs a lot. They fit well, and if you can secure a good seal, the sound is very impressive. The buds are light and comfortable. I have experienced zero ear fatigue with them. The charge holds up well and the case is small enough to keep in your pants pocket without feeling annoyed by the bulge. Initially they worked well for my first workout, but I didn't work up a good sweat then (I get very sweaty). After a couple more tries they began falling out repeatedly, even when using the larger tips. Not a knock, since these buds aren't specifically designed for working out. One issue I did notice was that upon pairing them (by taking them out of the case) the audio sounded extremely tinny. When I tried adjusting the volume, I noticed the buds were in "phone mode." So they were playing music as though it was a phone call (I have a Moto Z3 Play). This has happened about three times, two of which forces me to turn off the buds to switch it back to actual audio playback, only once did it clear up on its own. This hasn't happened in a while so it could be a phone issue as I switch Bluetooth devices often. Though they didn't suit my workout needs, I must say I'm considering keeping them. They are very convenient and are a great alternative to my Marshall MIDs when I don't feel like lugging around over the ear headphones. Another great product from Anker. Maybe I'll get a chance to try the active version of these buds in the future. I recommend the Soundcore Spirit X with very soft and flexible rubber ear hooks for working out. Great review. I have been eye balling these in search for some BT completely wireless in-ear earbuds. Based on your review these might not fit my purpose. Looking at using them while riding my mountain bike. I guess none of these type will ever fit my purpose but I won't stop looking.